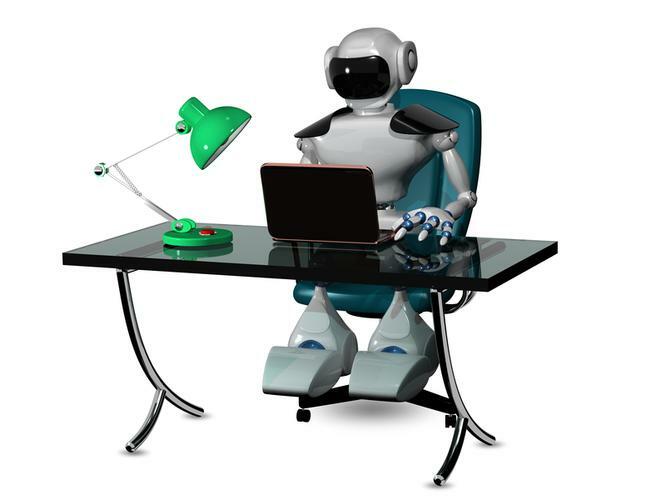 Companies can achieve operational cost savings of 50 per cent if they replace an offshore back office worker with an artificially intelligent software robot, a new study has found. The study on robotic process automation (RPA), compiled by Kinetic Consulting Services, revealed that a full time back officer worker costs on average US$10,150 per year in the Philippines, and US$7,250 in India. A RPA licence costs about US$5,400, which is up to 50 per cent cheaper than an offshore worker. Kinetic Consulting defines back office as tasks that are rules-based, structured and repetitive. Software-based RPA replaces or augments humans normally performing the task with “robotic” equivalents. For a full time back office worker in Australia, the cost savings would be as high as 90 per cent, as the average human wage for this work is US$44,950 per year. “The majority will start applying RPA in their organisations to low value tasks before they take on board replacing humans with higher value knowledge-based work. “Knowledge based work will also be replaced by cognitive computing but this will be by innovators and early adopters at this stage,” Joe Tawfik, CEO of Kinetic Consulting Services, wrote in his report of the study. Kinetic Consulting defines AI as machine learning, including fuzzy logic algorithms, and statistical probability for machines to be able to make 'intelligent' decisions when carrying out their tasks. “The utilisation of a shared robotic resource can enable a department or a global shared services centre to focus their time on higher value tasks that are more strategic in nature and able to commercially benefit the organisation. The study pointed to ANZ bank recently announcing it has automated 235 processes in its organisation, resulting in about 40 per cent cost savings. The study also pointed out that machines are less prone to making errors, unlike humans. Machines also don't need to take breaks or holidays, don't need to be retrained, or have ambitions to seek more intellectually stimulating work elsewhere. However, there are some things to watch out for when adopting AI and automation, the study found. Some considerations organisations need to take into account are how a robotic workforce will be supervised and monitored, the role humans will play in executing a process mostly managed by robots, and the processes that might need to be re-engineered before applying AI and automation. “There are a number of commercial and strategic considerations that need to be made when considering an RPA implementation. Not every organisation will be ready to introduce a digital workforce just yet,” said Tawfik. Read more Humans versus machines: Who will be employed in future? The study pointed out that AI and automation is part of the 'Fourth Industrial Revolution', which is the next wave of digital disruption occurring across multiple industries through a fusion of multiple technologies.